Life is all about the happiness of your loved ones and you love to see that sweet smile on their faces, especially when you are the reason for the same. But, how do you keep them smiling even in your absence? You can ensure their smiles remain intact by financially securing their future with a term plan. Term insurance plans are aimed at providing your family with financial freedom in case of unexpected events. It ensures that they are taken care of even when you are not around. A term insurance is a type of a life insurance plan which offers wholesome financial protection for a certain amount of time. In case of any unfortunate event, the claim amount your family receives will act as financial saviour during tough times. It will help your family maintain their lifestyle, meet their financial goals, and pay off liabilities in case of any unfortunate event. 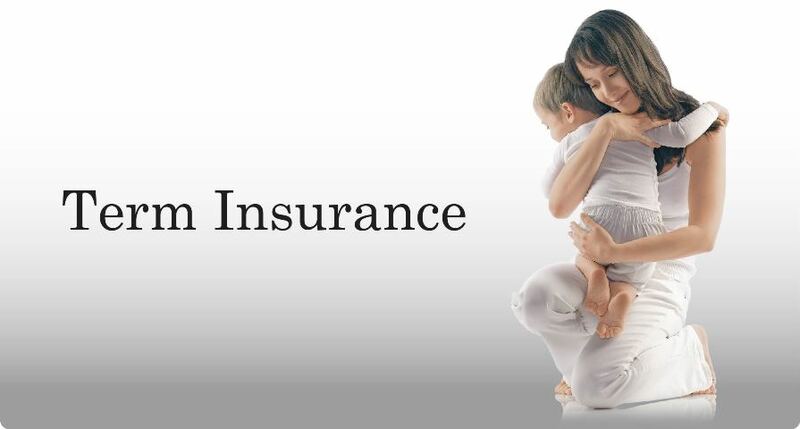 Term insurance plans also offer various other benefits apart from a death benefit. Large cover at affordable premiums: One of the major features of a term insurance plan is that you get higher life cover for long durations at extremely affordable premiums. Most of these plans can be purchased online. The process is usually easy, hassle-free and transparent. Additional Protection: Some new age term plans also offer financial support in the form of waiver of premium in case of permanent disability. This ensures that your life cover continues even if you are unable to pay premiums. You can also opt for extra pay out in case of an accidental death just to enhance the security of your family. Cover against critical illnesses: Besides protecting your family in case of your absence, some plans offer cover against critical illnesses for a small increase in the premium amount. You get upfront payment on diagnosis of major critical illnesses like heart attack, cancer etc. To claim the amount, you just need to present a report of your diagnosis and no hospitalization bills are required. For example, ICICI Prudential Life’s iProtectSmart offers protection against 34 critical illnesses. Tax Benefits: Term insurance policy is a great tool to save tax too. You can avail tax benefits of up to Rs.54600 under Section 80C and 80D. Additionally, even the claim amount which your family will receive is tax exempted under Section 10(10D). Easy and Efficient Claim Process: Most life insurance companies these days have fairly good claim settlement ratios. Also, the claim settlement process for most of these companies is quick and simple. One of the leading life insurance companies, ICICI Prudential Life, has a claim settlement ratio of 98.77% with a 3 day average claim settlement process. Customizable protection: You can increase life cover on an existing policy any time in your life. You might want to increase this cover due to various reasons like retirement of your parents or during important milestones like marriage or the birth of your child. Now that you understand the various benefits a term insurance offers, the first question that might come to your mind is how much cover you should take. Ideally, you should take a life cover which is at least 20 times your annual income. If you are just in your 20’s and single, you can even take up to 25 times your annual income to factor in the additional responsibilities you might bear as you grow old. You should also factor in additional liabilities, if any. While you may not want to think of events that lessen the smiles on your loved ones’ faces, life is bundled in a way that it keeps throwing a lot of surprises. Term insurance protects your family from bitter surprises and unforeseen eventualities which helps keep their smiles intact. The right time to buy a term insurance is always now. So secure their future with the best plans available in the market today. ICICI Prudential Life was recently awarded the ‘Best Term Insurance Provider’ by Business Today – Money Today Financial Awards. So, why not go with the best for your family’s future?